Clumsily put together and lacking coherence, Call of Cthulhu’s occasional redeeming story moments struggle to save it but never quite manage. Waking up from a rather prophetic nightmare, Edward Pierce finds himself on the couch in his poorly lit office. A survivor of World War I turned private investigator, Call of Cthulhu’s protagonist holds whiskey closer than people. When Stephen Webster, an art collector, enters his office asking him to look into his daughter’s strange death, Edward accepts, on the basis of something not quite adding up, and sets off to an island that’s not on too many people’s lips. A proper start, if anything, to what later becomes a rather inconsistent journey. Unwelcoming and offputting from the very moment you put your foot down on it, the island of Darkwater is, initially, worthy of any lovecraftian story. The first sight you lay your eyes upon is that of a whale mauled horribly by some unfathomable creature. You’ll find faithful companions in the unnatural green glow of lanterns and a pervading sense of isolation that never quite leaves you, even in instances when Edward is accompanied by others. Fog shields the island from the outside world and darkness ensures that you’ll find yourself often reaching for your trusty lighter to examine objects you need to interact with or even show the very way ahead. There’s definitely a case to be made for basing the entire aesthetic around the unappealing and, while Call of Cthulhu does partly succeed in that, the low quality of the visuals isn’t hidden very well. With an overabundance of muddy textures, stiff animations and a noticeable film grain filter, Call Of Cthulhu is anything but easy on the eye. The initial moments suggest a heavy, oppressive atmosphere fueled by mystery and uncertainty. While the investigation intertwines with moments of intensity, gloom is always present to the point where it becomes exhausting. The more you’re exposed to it, however, the more the suffocating, narrow streets, caverns and hallways quickly become overbearing. Furthermore, going back through areas already visited makes you realize that locations just sort of blend into each other, with the exception of some like the Hawkins’ manor. While the events on the island do their part in scarring Edward’s mind, they’ve stiff competition from the characters’ jarring faces. Although they’re not the only thing indicating a lower budget, they strain in such awkward ways that Call of Cthulhu easily boasts some of the worst facial animations in a while. Call Of Cthulhu’s tabletop RPG roots make themselves visible through its skill system. 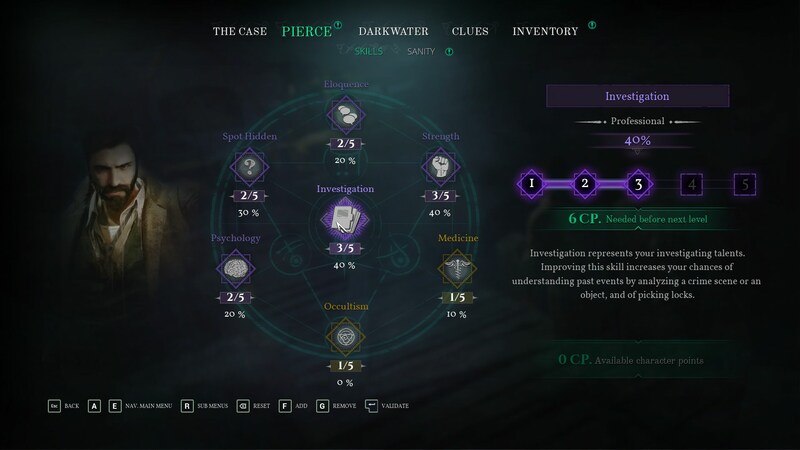 Edward Pierce can spend skill points, gained from progressing through the investigation, to develop seven skills, themed around him as a private investigator. They cover areas such as eloquence, investigation and psychology helping with piecing things together. In theory, this could have been an opportunity to do something interesting gameplay-wise. In practice, they just act as simple skill checks would. The changes to both gameplay and the way you approach your case are minor at best; the story moves on its path regardless of what Edward knows. All that’s rewarded in most cases is some extra, small clarification from Edward when pressing E while looking in an object’s direction. Having enough points in eloquence might help with convincing a reluctant old man to give you a key, but if you don’t, you can just steal it from his cabin that’s a few steps away. Spent enough points in investigation? You’ll be able to lockpick the game’s few locks. Don’t have enough points in medicine? Edward will just blather on about how a broken vase is just that instead of also mentioning a rather insignificant detail about the substance its shards are coated in. The only times when I felt I was missing out on something because of my skill choices was when dealing with occultism. Similar to the medicine skill, you can only invest points in it during the initial sequence, after which it levels up on its own as you’re exposed to various objects. The bulk of Call Of Cthulhu revolves around the investigation surrounding the Hawkins case. This means you’ll examine surroundings and talk to people a lot. A fairly straightforward dialogue system carries you through these conversations, with skills and mental condition determining the available choices. Speaking to people about Darkwater paints a history not devoid of eerie details. The story itself, while lacking in remarkable characters, is prone to a few satisfying twists. You’ve a journal keeping track of clues, hints, location and people. Some of the documents found throughout the environments also grant a more complete picture of what’s going on around the island, although its factions are severely underused. Hidden away in a sub-menu is an indicator of your general mental state which gets frailer and frailer as Edward Pierce is exposed to unusual or traumatic events. When it comes to conversations, they’re decently voice acted, but I can’t say that any of them were particularly memorable. Reconstruction scenes are another of the tools by which you piece together what happened with the Hawkins family. As you wander across Darkwater, Edward Pierce can dip back into the past and rebuild certain crucial moments that shed light on people of interest. Skills also play into these bits in the same manner as with anything else. Ultimately, they’re a run-of-the-mill detective mode kept interesting by the mystery shrouding the events you’re following rather than any in-game mechanic. Only a few moments made me feel like an actual investigator while playing Call of Cthulhu. A debt board put slightly out of sight giving extra knowledge about a person of interest; a document found in a locked secret compartment providing salvation in a heated but frustrating encounter; an occult symbol that ends up recurring later on – finding them, even with the game’s limited exploration and making the connections myself came with plenty of satisfaction. Sadly, there aren’t enough times when the game lets you do that. Its linear, short levels don’t really aid immersion either, as you’re telegraphed from bland room to bland room with maybe an eye-catching detail or decoration. Their uneven length also translates into a good number of loading screens which, while not long, shatter any efforts of maintaining both atmosphere and cohesion. Instead, I kept feeling pulled out of a scene and thrown into another by the rigid hands of an invisible, undecided director. Call of Cthulhu runs through the checklist of lovecraftian elements, managing to use them effectively in a few situations. Perhaps its biggest sin is in its mishandling of atmosphere, condimented by the addition of a few cheap jumpscares. The few effective sequences come in small chunks, often separate from each other, offering a brief glimpse at what the game could have been. A few powerful instances of Edward seen succumbing to madness manage to transmit that sense of helplessness past the screen. 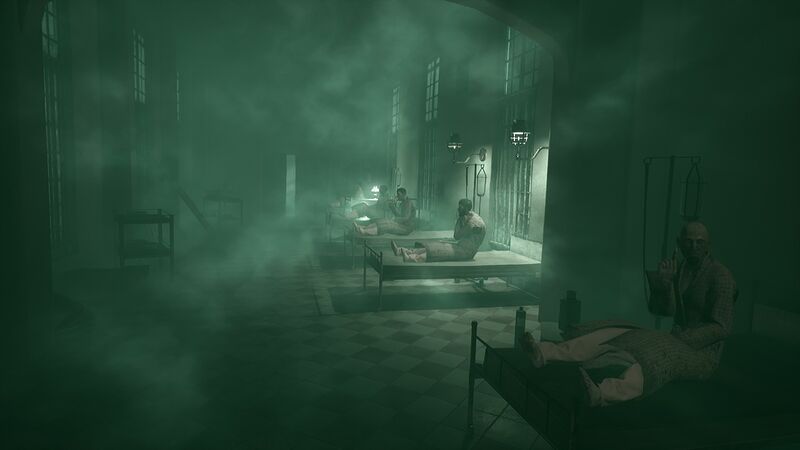 One sequence in particular plays around with perspective, requiring use of different types of light in navigating the labyrinthine corridors of an asylum. The first contact with Sarah Hawkins’ ghastly paintings also manages to unsettle. But moments like these are only few and far between. Instead of focusing solely on and expanding its investigation component, the title attempts to branch off in terms of gameplay. The puzzles you encounter, although few in number, actually require connecting dots in order to push forward, which is something the title could have used more of. Tacked-on bits of combat that involved very limited gunplay, on the other hand, serve no real purpose, feeling like rushed, last minute additions. Then come the stealth sections. Although the areas they take place in are slightly – and I do mean only slightly – more open, there’s rarely any wiggle room when it comes to finding your way past enemies with limited patrol paths. In theory, it’s all a matter of avoiding their line of sight. You’ve no tools to defend yourself, which does cater to a modicum of vulnerability. When they work as intended, they’re mundane. When enemies decide to see you through objects or refuse to forget about you once you find a spot to hide, they become frustrating episodes that only get worse with every reload. One sequence towards the end included foes past which I couldn’t sneak, leading to an awkward, Benny Hill-esque chase around a car. Salvation came in the form of making a beeline for the sole thing that could hold them back: a closed door. Sometimes I’d make it, in other cases the game would deem I was too close to one of them, resulting in instant failure and having to watch the same bland death animation over and over again. I didn’t even need to lock the door, mind you. Just close it, disappear a little and they’d eventually forget. This same sequence also had one or two safe spots – enemies can’t really crouch –, but that also came with mixed results. At times they’d completely forget about me after a few seconds, while in other cases they’d just bump their bodies against the broken boat inside of which I was hiding. Prior stealth levels had closets which I could theoretically hide in. That proved woefully ineffective, as I was discovered every single time, despite having broken line of sight. If one were to stretch things, it could be argued that this is used as a means of instilling a sense of futility to one’s efforts, given the grander context. Even if that was the case, however, it wouldn’t change the fact that these bits reek of simplistic, shoddy design. Thankfully, there’s only a few of them. 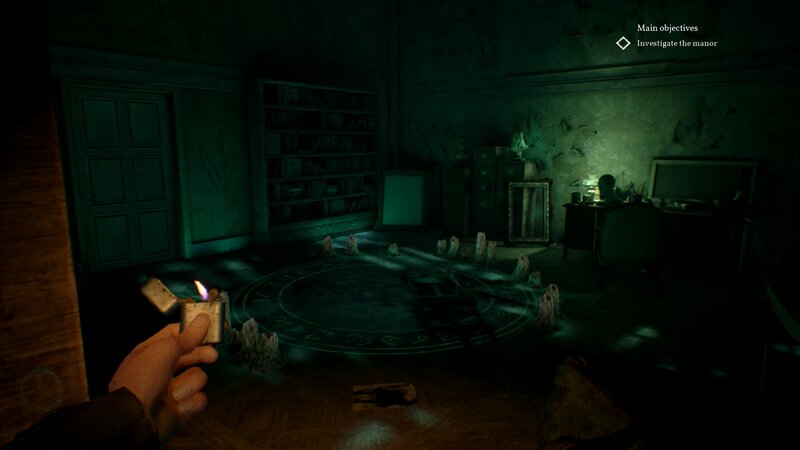 Clumsily put together and lacking coherence, Call of Cthulhu’s occasional redeeming story moments struggle to save it but never quite manage. Its simplistic level design and ugly visuals feel pulled straight out of an uninspired title from last generation. 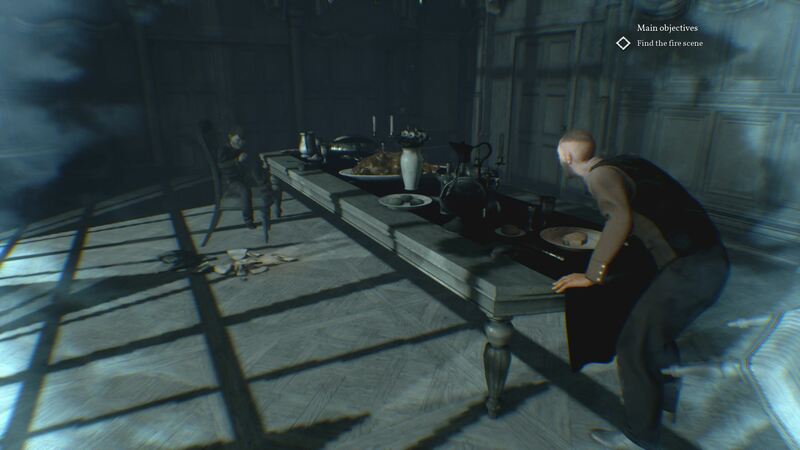 Not only does it come forth with mundane gameplay proposals, it also tries to shift between investigation, stealth and very limited gunplay in a way that, to me, suggests the project lacked a clear vision; none of these elements are fleshed out enough or particularly satisfying to engage with. The pacing is all over the place and there’s never enough time to settle into anything, killing any hope of a proper, haunting atmosphere. Although it does succeed quite well with a few of its portrayals of degrading sanity, I remember its bottom of the barrel stealth sequences most vividly due to the frustration they caused. Everything else simply straddles the line between indifference and mild interest, which makes recommending it a rather difficult prospect.